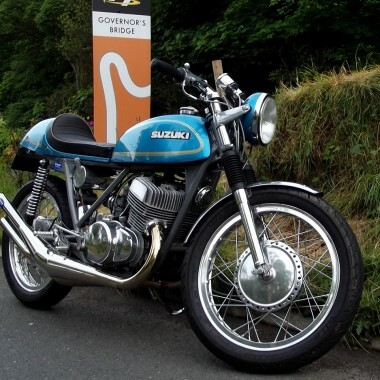 The team immediately thought of the XJR, which they had worked with in the past. 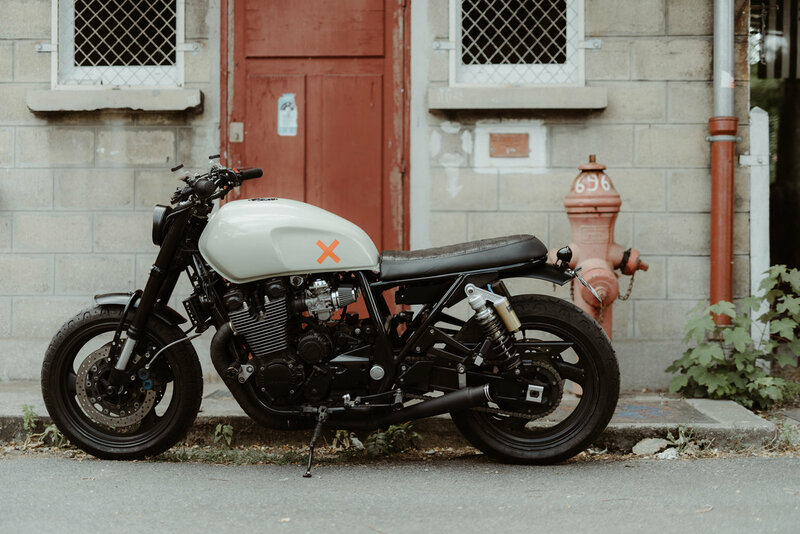 They rebuilt the subframe to accept a two-up-capable seat, fitted custom fenders on both ends, and redid the wiring harness from scratch, employing minimalist componentry from Motogadget. 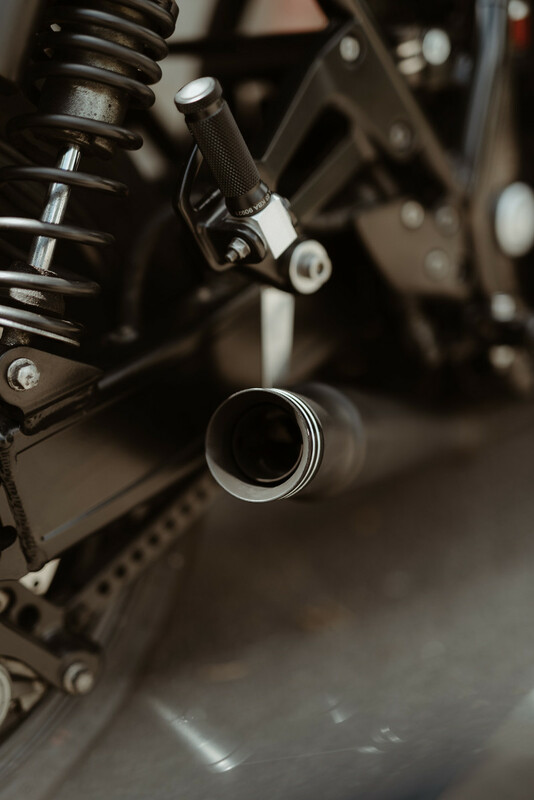 The Yamaha R1 forks give the front end a beefier look while improving damping and braking, and the paint is sleek and well-matched. 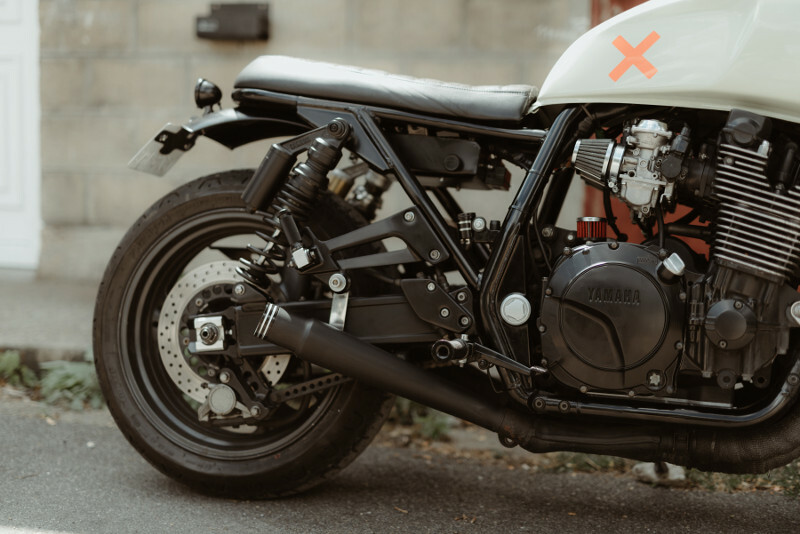 Below, we get the full story on the build, along with some beautiful photos from photographer Charles Seguy. 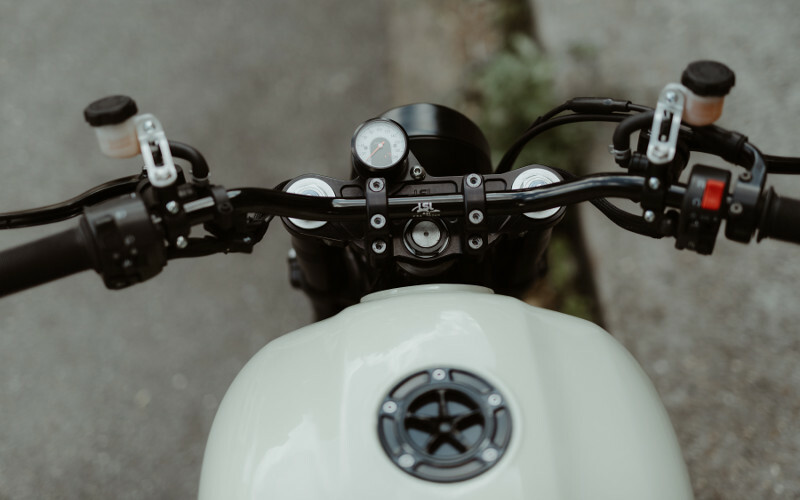 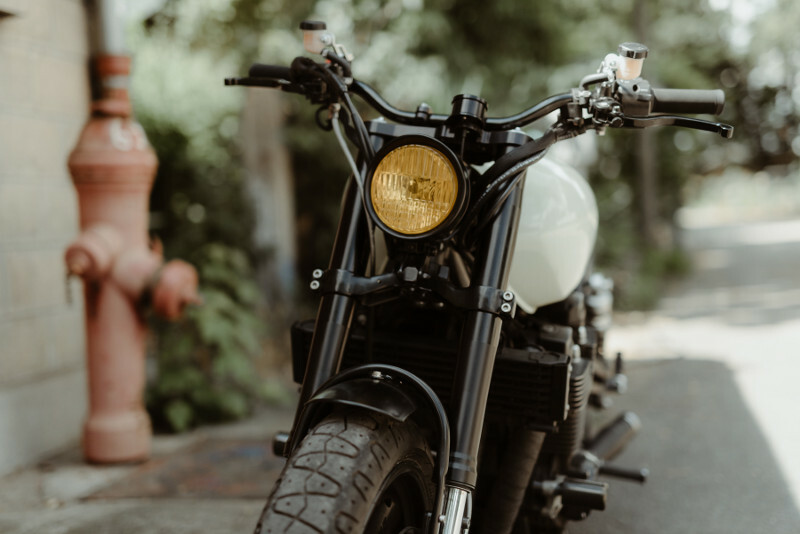 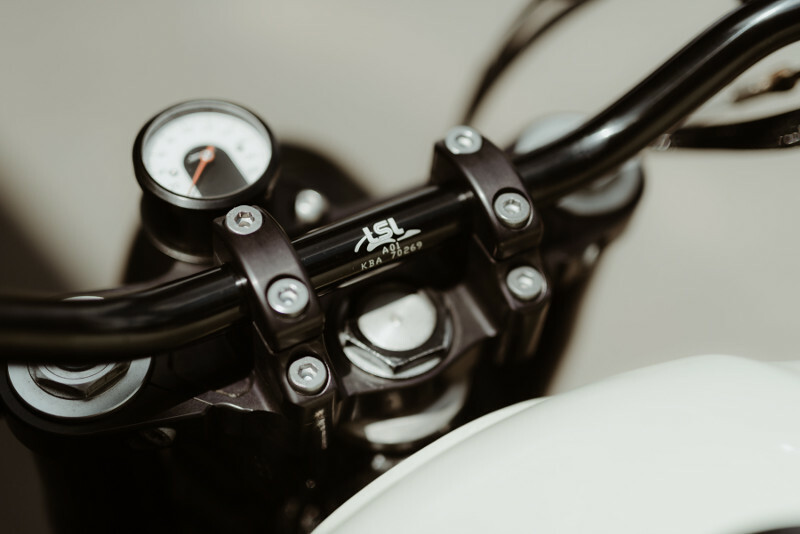 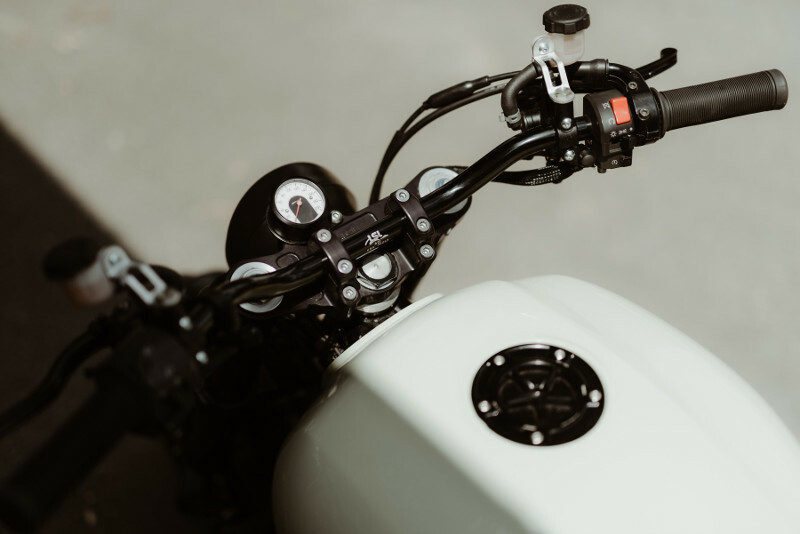 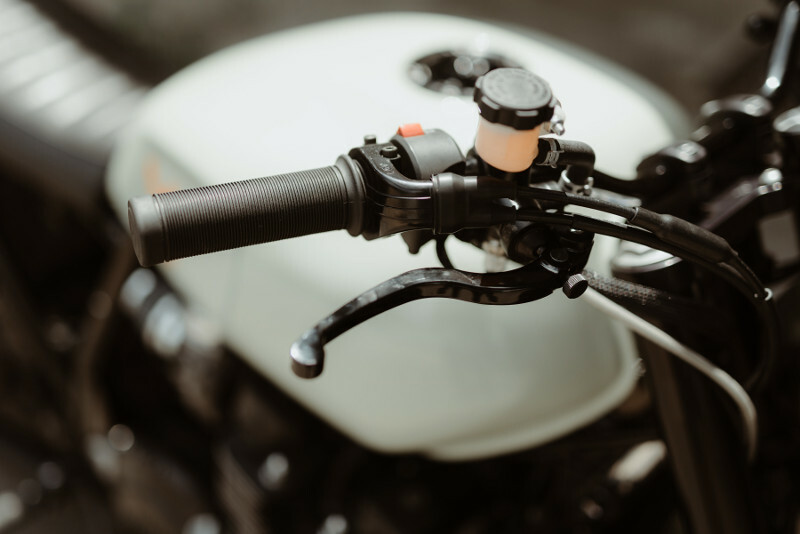 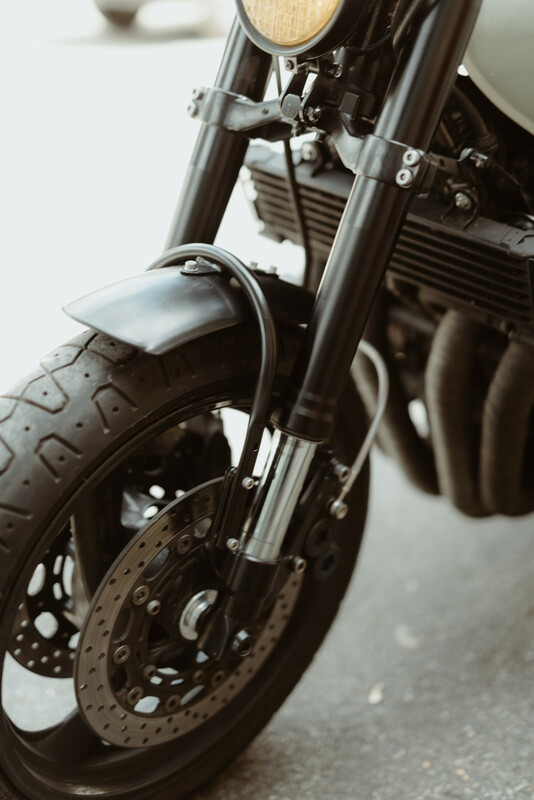 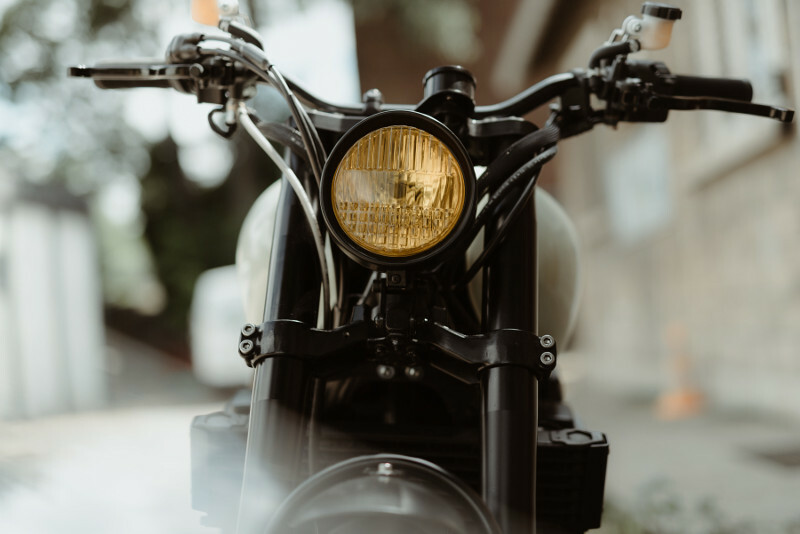 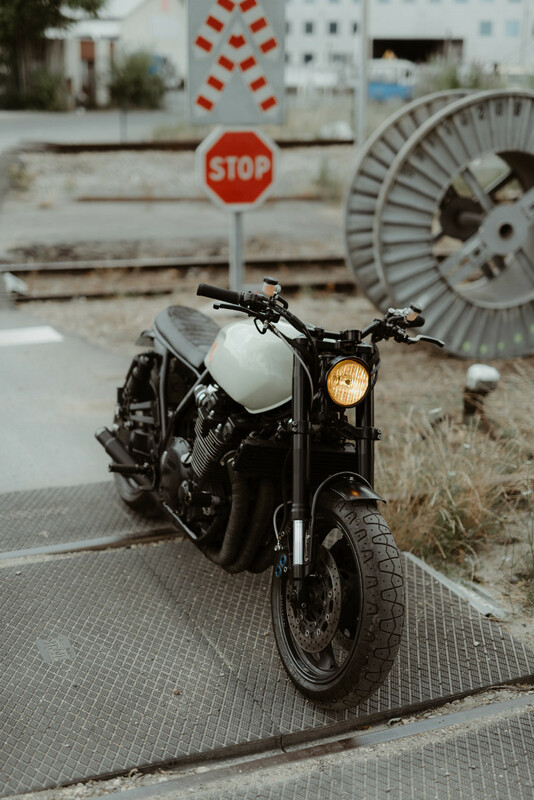 Raphael created Modification Motorcycles, Paris, in 2014, aiming to build bikes and sell aftermarket parts for vintage bikes. 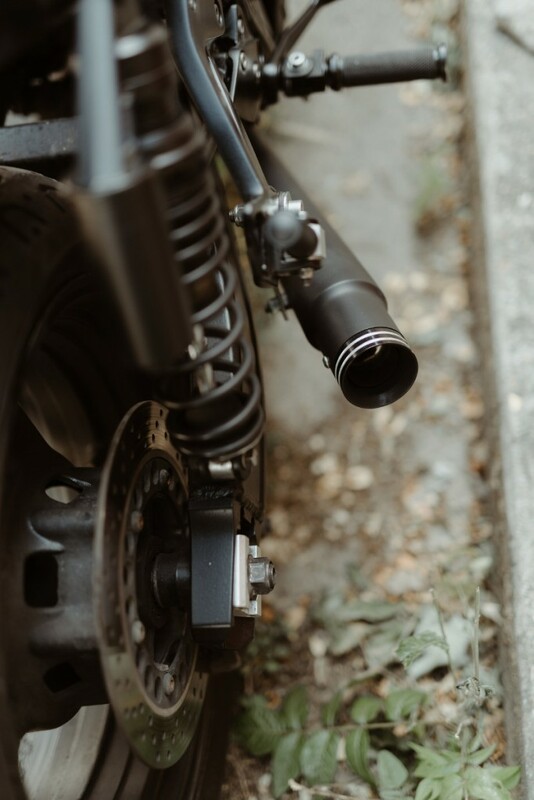 Along with Florian and Morgan, who joined us in the early days, we’ve built about 30 bikes in the last five years, and now concentrate on selling and fitting parts, by operating a generalist spare parts and accessories website (www.modification-motorcycles.com) and a dedicated website for the BMW R NineT (www.ninetstore.com). Still, we plan one or two custom bike projects a year like this XJR, to keep the pleasure on and ensure we fully express our creativity. 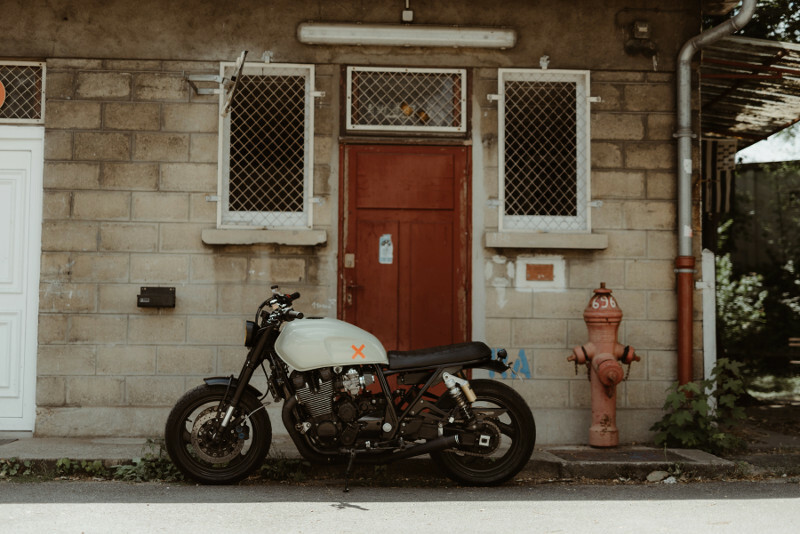 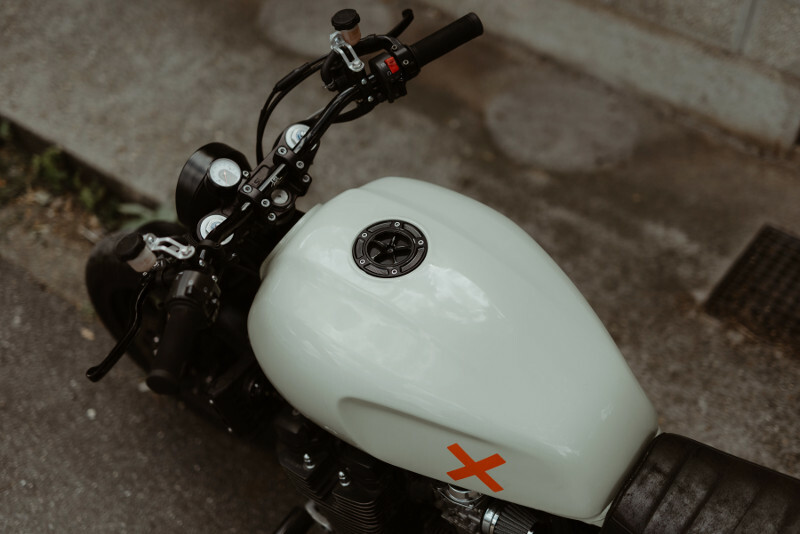 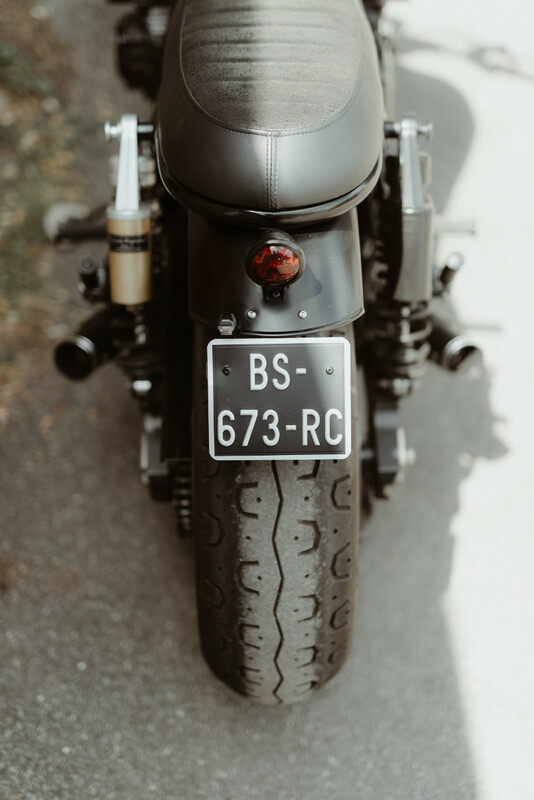 We now have a new workshop in Bordeaux for the 2019 bike projects (starting with a BMW K1100RS that will, I hope, be very good looking :), and a vintage parts, accessories and lifestyle equipment shop in Paris : LE BOX Drugstore Moto (IG @le_box_drugstore_moto). 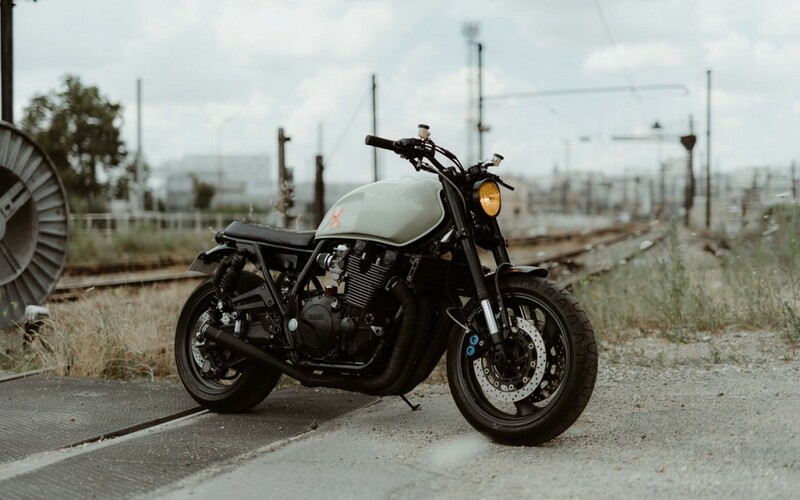 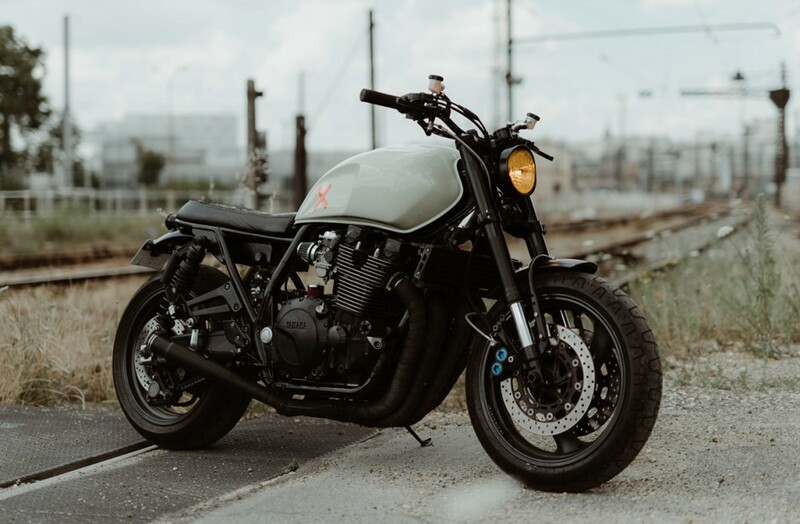 Now we are glad to present our latest build, based on a good old-fashioned 2001 Yamaha XJR1300. 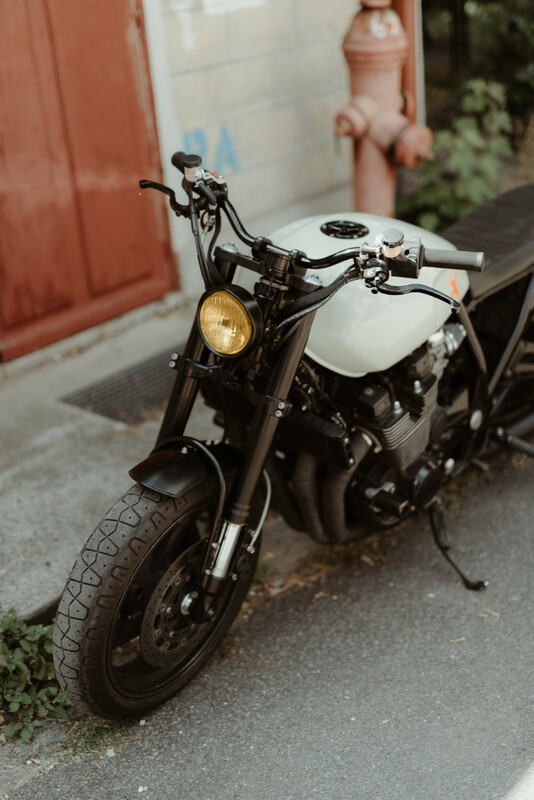 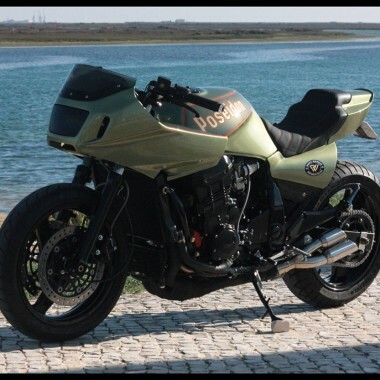 This is the second bike we built for our client Bertrand (first one was a Moto-Guzzi V65 that he still owns and rides), and he wanted a more useable, easy to ride and to maintain, long-distance friendly custom bike. 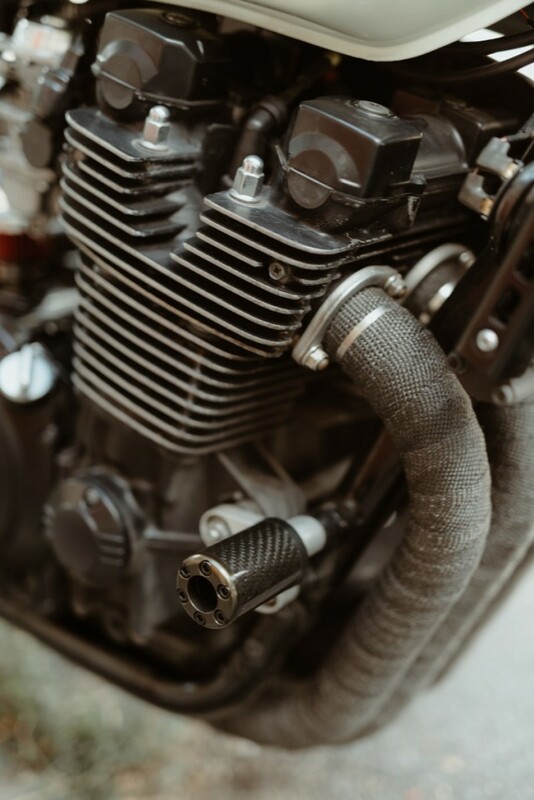 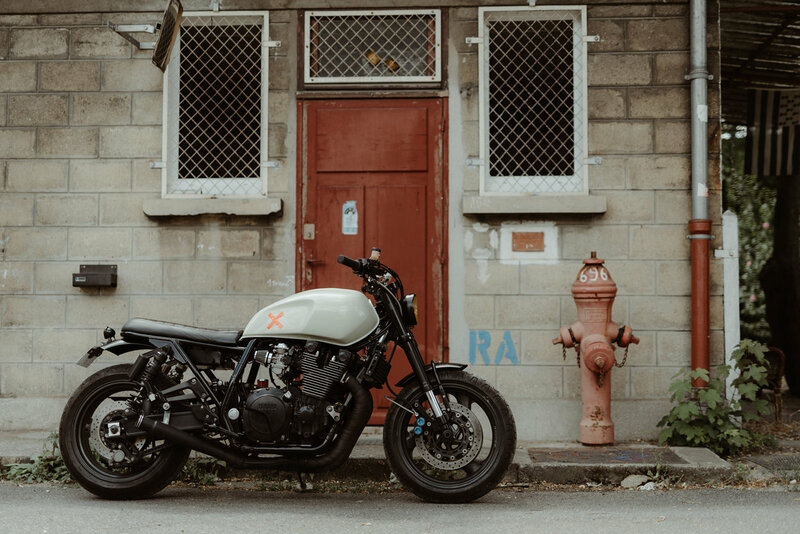 The XJR was a bike we already worked on previously, and the many possibilities this bike offers in terms of frame, looks, and engine made it an obvious choice. 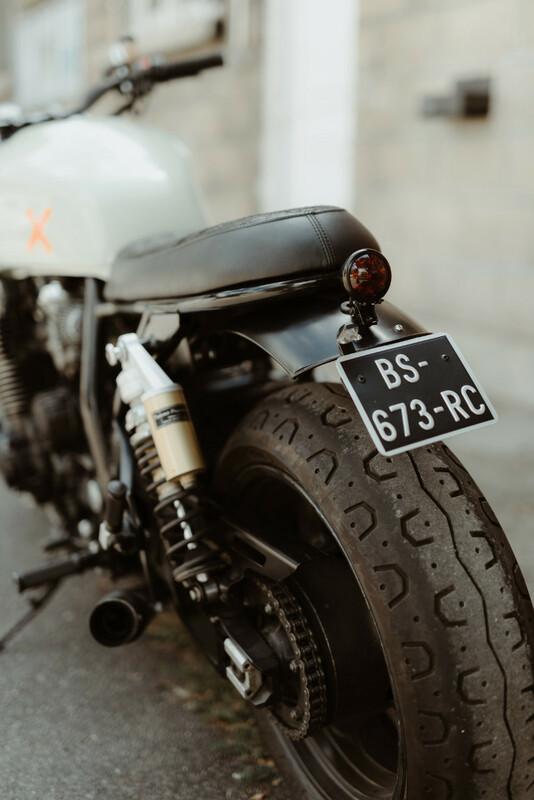 The bike had to be used on a daily basis in Paris, accept an occasional passenger, be as simple and plain as possible, but include some details and gimmicks that Bertrand has on his other vehicles. 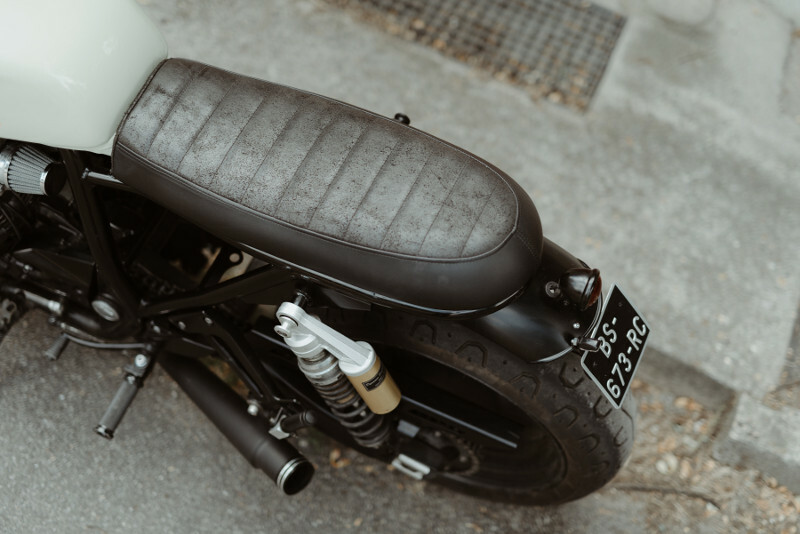 Frame has been rebuilt in order to fit a tailor-made seat with nubuck leather on top, skinny but not uncomfortable. 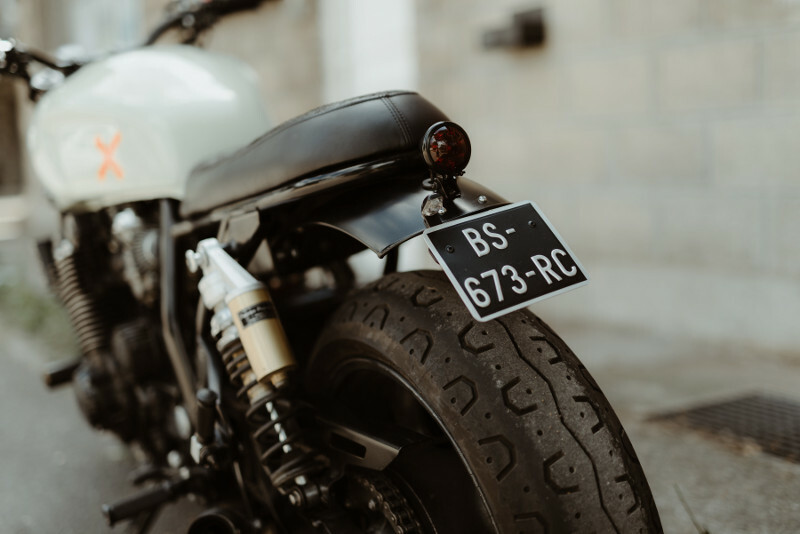 Aluminium round fenders were fitted on both front and rear-ends, and the only visible lighting elements comes from a Bates taillight and a retro yellow-mirrored headlight. 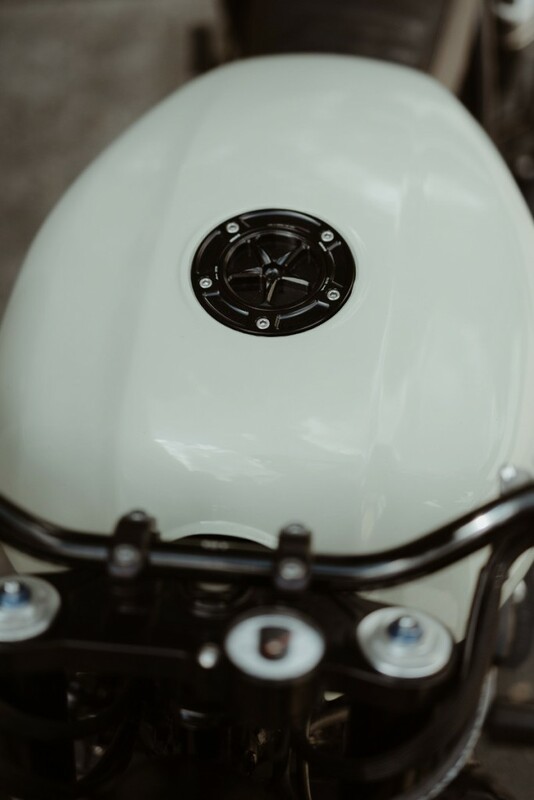 The other accessories had to be minimalist, so we again used our beloved Motogadget parts, for the turnsignals, key lock, speedo, that are hidden but efficient. 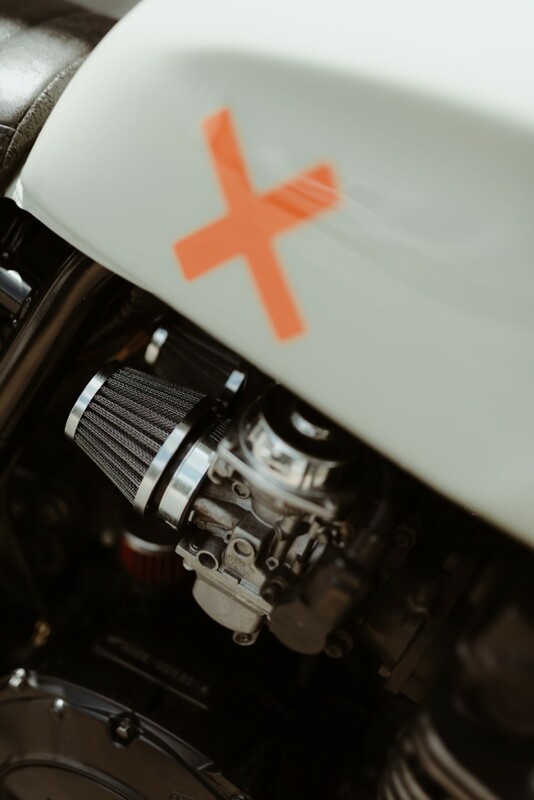 As usual, a lot of work has been performed on the wiring harness, when suppressing the airbox and all the massive mess there was between the triangles by fitting everything in a tiny box underneath the seat. 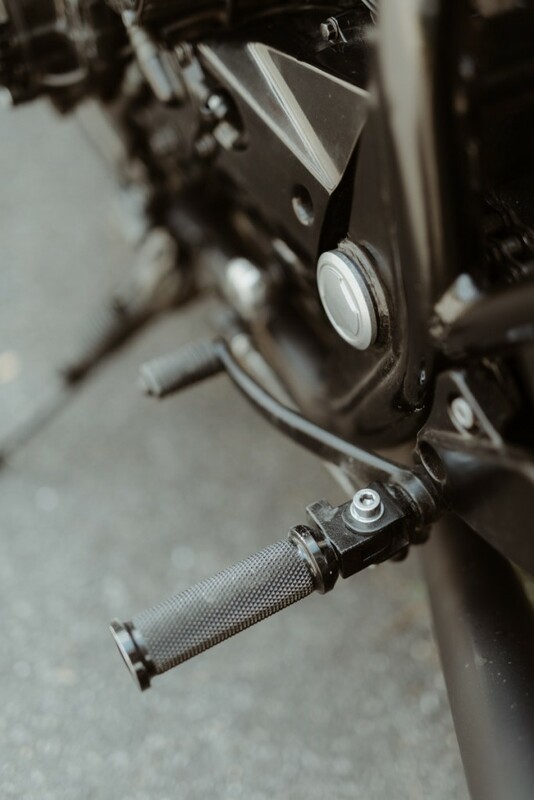 As the original fork looks too thin on such a big bike, we chose to fit a 2000 Yamaha R1 inverted fork, which balances the bike in terms of proportions, offers great handling and suspension quality, as well as a very effective braking system. 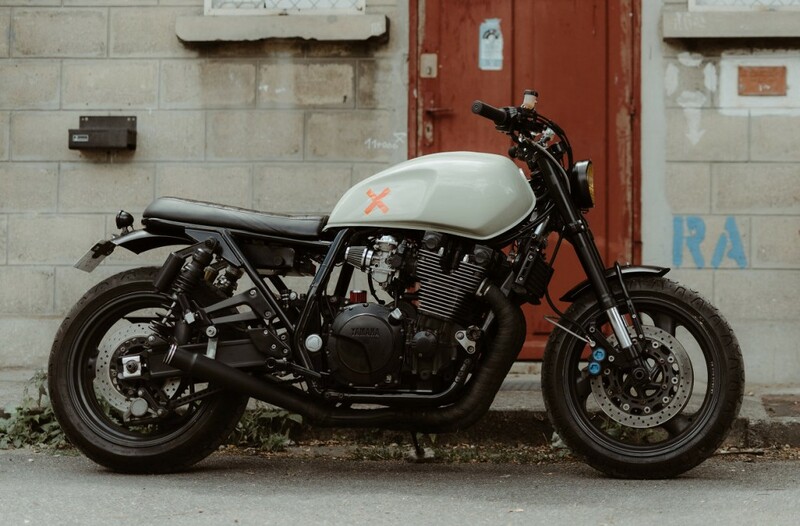 Eventually, a great care has been taken on matching the colors on the bike, with different black treatments, emphasizing the beautiful light green paint of the big original Yamaha tank, and our typical orange X. 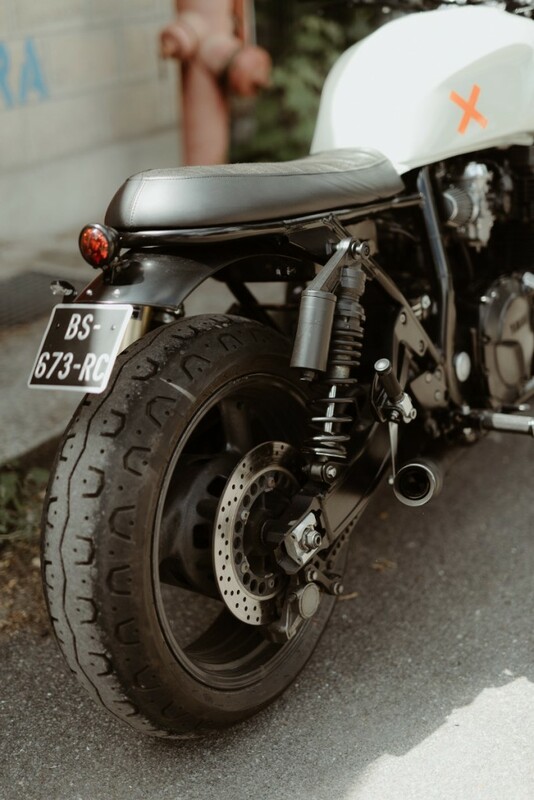 The beautiful pictures were made by talented photographer Charles Seguy (@charlesseguy).